Coming Soon -- PIVOT for Apple PRO 11" (PC-PRO11) and Surface 4,5, & 6 (PC-SURF4P)!! Follow us @pivotcase on Facebook and Twitter for updates! 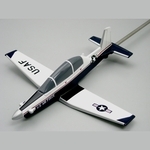 T-38C Unpainted Briefing Stick - SOLD OUT! The real learning takes place before and after the sortie. 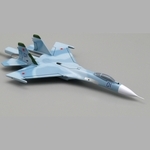 Our perfectly scaled models make the process of briefing and debriefing easier for the instructor/flight lead and the student/wingman to understand the mission profile, maneuvers, and for visualization of the elements to be accomplished. There is no substitute for quality. 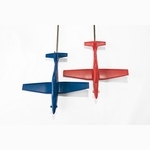 Fly Boys has a direct link to the manufacturer of these models, we own the molds that process the high-impact resin and we have them painted by hand in a specialty facility . We know they are a perfect fit for our military audience and now you have access to the finest, most durable briefing sticks in the world. Enjoy! © www.FLYBOYS.com. All Rights Reserved. Site Design by EYStudios.